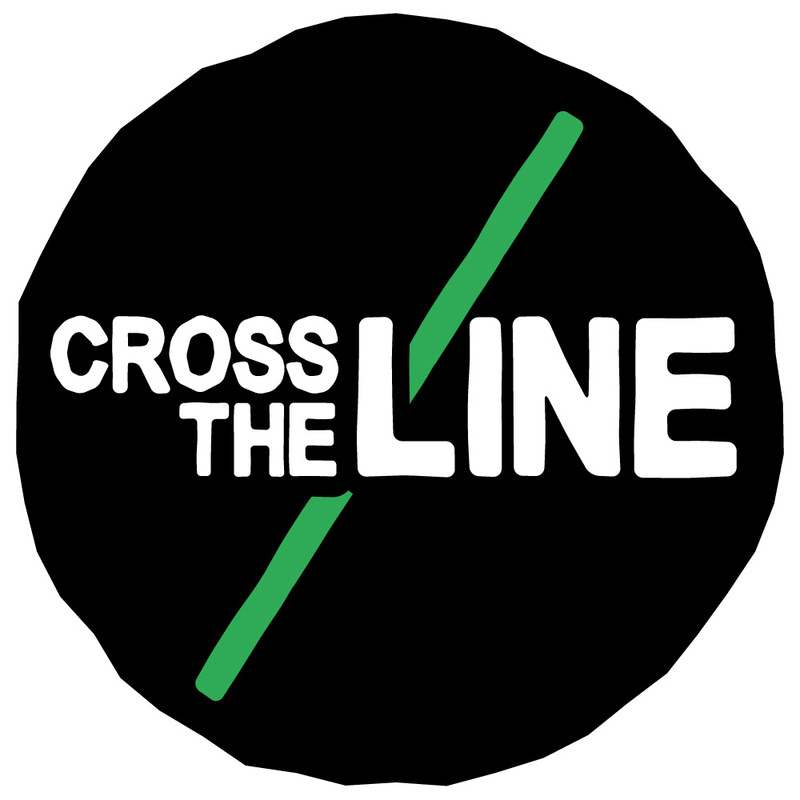 Here at Cross The Line, we are a bunch of faith driven ’20-something’ writers, reporting hot off the press football news making Jesus known! Our website includes a number of features, including generic football articles as well as a “faith and football” section where we give our readers a chance to read football stories with a different light. We look to combine the latest football news with the Christian faith; giving you a chance to relate everyday stories in the world of football with Christian beliefs. Ex Premier League Footballer Linvoy Primus is now available to share his story. Mark Blythe, Molesey Community Church FC I was born in Australia to English Parents back in 1959, I have tended to be Australian during the cricket season and English at other times since then, although this year’s Ashes has changed that?! I have a very patient wife, Lesley, three sons, three step-kids and two step-grandchildren, mightily blessed! At 2 my Pommie parents escaped Australia & I was raised near Middlesbrough. I was a sport fanatic, represented my school at everything & County at 3 sports. I was a Boro season ticket holder and played in 3 footy matches most weekends, what a life! I went regularly to Church, yes every Christmas Eve without fail to keep my Mother company after my parents divorced! That was it, no other churchy input and that was more than enough for me. I went to Uni at 18 to do PE, coached soccer in USA and did the first London Marathon in 1981. I married a Catholic lady at 24, but I fought against attending Church throughout a ten-year marriage that ended in divorce, mainly due to my selfishness I have to admit. I was happily single, when I met a gorgeous woman. Disappointingly I soon learnt that she was a Christian. I started asking questions about her faith. She didn’t push it on me as we started a relationship, which was just as well cos to me Christianity was real bad news! Six months later on a business trip back to Australia, some friends invited me to their Church, they couldn’t believe it when I said I would go, and I was equally surprised! I didn’t know why all of a sudden I wanted to go but I just felt drawn. During the meeting the leader invited new people down to the front, for some reason I went. There was a reading on a big overhead screen, I started reading it and for some reason my eyes filled up with tears. Being a tough northerner I tried to stem the flow but couldn’t, fortunately I was facing the front wall! I felt an amazing warm sensation inside that I now know to be the Holy Spirit, along with the shock of finding that God really existed and could be felt in a tangible way, I had an amazing inner peace. To make it so I had to believe, God then told my son that Dad had become a Christian. So when I rang England from Australia they already knew!! Wow, that made me realize that there was something real about this and that I had better start looking into it seriously! The spirit changed my life dramatically, I no longer do anything to make more money. The saddest thing about becoming a Christian when I did was realising that I wasted 35 years not listening to all the people who tried to tell me that it was Good News, the people I labelled “Boring Bible Bashers” as I went off to play football. One of the best things was realising that I could still love my football, support Boro and be a Christian! I was amazed that it doesn’t hurt and I am just so grateful that I found all this out before it was too late! Since that day, God has healed my back and answered many prayers. I want to spend eternity in heaven with all my friends and I want them to experience God’s Love, that is just so amazing, right now. If folks actually did an Alpha course or quizzed a Christian friend with all their deepest questions I am convinced that most would choose to follow Jesus. Historians don’t deny that Jesus existed so why should you? And if he did exist and was who he claimed to be, maybe it’s worth reading what he had to say? Mark’s Gospel in the New Testament is a great place to start, reading it knowing it is historical truth changed my views on it greatly! That water into wine thing was quite impressive and coming back to life was pretty good too! Do you have an open mind? What if….. what if that nagging wonder at the back of your mind is actually true? I believe nothing on earth can give you as much lasting peace and enjoyment as realising that there is a God who loves you, yes you. He gave you free will to choose Him, that is love, He is ready and waiting … will you go for it? Love Molesey Community Church FC, Love Boro & Love Jesus – strange but true! Linvoy’s fortunes were to be changed in a remarkable way when he decided to commit to Christianity. This book tells the story of how he believes his faith in God transformed his life and performances such that he played a key role in Portsmouth’s triumphant ascent to the top level of the English game and went on to become a top Premiership footballer, scooping a host of awards from the fans along the way. Off the field he has become a popular figure in the community with his tireless work for the disadvantaged youngsters through his charity ‘Faith and Football’, and he also tells the stories of his own fascinating overseas missions to help vulnerable children in Nigeria and India. 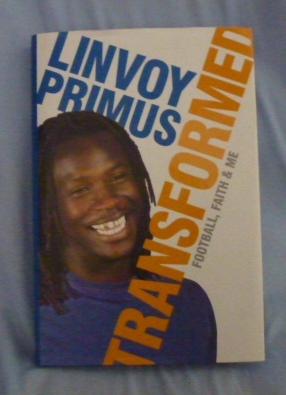 This is a compelling story of Linvoy’s own remarkable conversion and his subsequent life as a Christian footballer in the Premiership. This enjoyable and readable book, which will also appeal to non-football lovers, is highly recommended. I find football gives so many opportunities to show the Christian ethos, sadly these are often very hard to take and are often not black and white circumstances. Recently we had just 5 minutes to go and were 1-2 down in a Southern Area Christian Football League Div 3 bottom of the table clash, it doesn’t get any lower in our area! A defender on the line smacks a clearance at me a few yards out and the ball hits my hand and goes in, the Ref was close and saw it clearly strike my hand. He knew there’s no way I could react that fast and awarded the goal, it was ball to hand and in the Refs view not intentional! The oppo go ballistic………. Laws of the game, a goal, the handball definitely wasn’t intentional. Dilemma, What Would Jesus Do? What do my team want? What should I do? We are losing? Should the score at the time make any difference? It would be easier if we were 2-1 up not 2-1 down! What is the positive Christian witness? Think I got it right, this time, asked the Ref to give a free kick. Situation defused, the oppo all thanked me, my guys stayed quiet! A positive Christian witness this time……… even though it should have been a goal. Received good feedback about discussions amongst the opposition after the game about the way we want to play and eventually my guys agreed. PS I thought God would bless us with a late equaliser for doing this, but sadly he didn’t!? What would you do? How would you feel if you were on the losing and then the winning teams and also if the goal had been allowed to stand then how? Football gives us some great discussion points and challenges! Going For It? – Would You? A Teacher prepared a test for his students. The test questions were divided into 3 categories and the students were instructed to choose questions from only one category. The first questions were the hardest and worth 100 points. The second group were easier and worth 50 points and the third ones were easiest and so worth only 25 points. When the tests were marked the students who had chosen the hardest 100 point questions received an A Grade. Those who had chosen the 50 point questions received a B Grade and those who chose the easiest questions received a C Grade. The students were furious with the grading method, however the Teacher explained that he wasn’t testing knowledge, he was testing their aims! In a football match you find yourself 40 yards out, the keeper is just off his line, the ball is sitting up nicely, what would you do? Would you be prepared for the stick from team-mates if you missed badly and give it a go and shoot? Or would you take the sensible route and pass? If you passed and then you didn’t get another chance to score all game and you end up losing 1-0, when the game is over would you regret not taking that risk of that long range shot on goal? Football and life are both all about choices, we make some good choices and some poor ones, ones we are glad we made and ones we regret. In life we have that decision to make about whether to follow Jesus or lead life our own way. We can only make that decision whilst we are in the game, once the final whistle has gone it is too late. Aiming for the highest level knowing it will be hard brings great rewards. There is a well known saying “better to have tried and failed than not to have tried at all”, go on shoot next time! However, choosing to be on God’s team with the Christians you know isn’t about having hard times. Yes, you may get laughed at by others who don’t understand, but is that worse than missing your chance for glory? The Good News of the story of Jesus is called God’s grace, giving us what we don’t deserve. We get another chance and are forgiven for all the mistakes we have made in the past, yes all of them – those sitters we have missed, those bad tackles, the bad language when the referee can’t hear, yes all forgotten! A simple prayer is the transfer fee, you can say it wherever you are, when ever and if you mean it in your heart you are signed on right there and then. Here it is, your choice to go for it or to let the opportunity for glory to pass, it’s your call…. “Father I am sorry for all the times I have messed up in the past and made wrong decisions. Thank you for sending Jesus to earth to die for me on the cross so that I might be forgiven for all I have done wrong. Please come into my life and lead me from now on. Amen” If you meant that prayer in your heart you are now on God’s team, please tell a Christian that you know, they will be more excited than scoring a goal, yes it means that much! Check out the pdf above to see how Laura has made a massive impact working in inner city London before and during the London 2012 Olympics. On marathon day, we opened up the crypt for “tea, toilets and timeout” for marathon spectators. About a hundred people came through the doors in a three hour period – mainly to use the loos, and we were able to give out invitation cards to Easter services and copies of a tract by “A Passion for Life”. The strengths of the event were that it gave congregation members opportunities to be involved in first contact evangelism (giving out tracts, engaging people in conversation, being prepared to stay around for lunch and create a “buzz” about the crypt) and what we were offering (particularly toilets) genuinely served the marathon spectators. The main weakness of the event was that the majority of people coming into the church were not local (although some were) and opportunities for gospel conversations were fairly limited. I think it would be worth doing a similar event next year. With the educationalists singing their praises from the rooftops, the influence of the amazing Sporting Marvels project is both enormous and ever-growing. Already in relationship with thousands of young people from every corner of the Rhondda Valleys, the dynamic Sporting Marvels workers are strategically placed to model right living, strong character and the Christian lifestyle. The kids are responding in their droves, all keen to emulate their heroes, the coolest people in town! As agents of transformation, the Marvels are changing the way a generation of young people think; about themselves, about others, about their community. As the youngsters are encouraged to take responsibility for their own choices, the “I’m not, I can’t” culture is being replaced by “I am” and “I can”. Standards of behaviour are improving as attitudes change and hope and self-esteem soar. Everywhere you look, the Marvels are a positive influence for good. It’s an amazing track record! Shortly to begin its sixth school year, Sporting Marvels partners with a half of Rhondda’s schools and has seventeen workers in post; a team drawn from seven different countries! Through them, the Christian message and the love of Jesus has become everyday normal to thousands of young people who otherwise, may never have heard the Good News. And all this in a place with the smallest proportion of regular church attenders in the Christianized world! And what’s more it’s taken more than a million pounds to reach this point; in an area the 2001 Census declared the poorest part of the United Kingdom!! Ask the men behind the work and their answer is short and sweet; faith and love. “When Scripture says that ‘the only thing that counts is faith expressing itself through love’, you have to sit up and take notice”, they say. Who can argue? Who would want to argue? Sporting Marvels is a truly outstanding example of the Great Commission being fulfilled out the Great Commands; love your neighbour and “Do unto others” a core, foundational element stitched into every level of the project. But in the war for the hearts and minds of a generation, there are many battles to be fought. A half of the area’s schools have yet to benefit from Sporting Marvels. Another fifteen workers are needed. And that will require a budget of more than £600,000 a year. battle nurturing and watering the seed. The project’s key church partners are all busily going about fashioning a new wineskin. They know the harvest is coming. The signs are there. Community transformation is coming to the Rhondda Valleys. If you are looking for a present for someone, why not a sports book. The long awaited Cumnor Hill Sports Book awards lists have been released. Katie Taylor’s My Olympic Dream is a brilliant strong Christian testimony. In 2006 an Easter Soccer School was held at Hayes Lane Baptist Church. The Church was delighted with a turnout of 24 children for a week of Fun, Football & Faith. On the back of this, the Church with the help of Ambassadors for two days a week started delivering a community programme e.g. in local schools. The following year 64 children attended the 2007. This was achieved by working with a church of a membership of only around 70 people. Currently from this church, there is a football outreach work in 3 schools in the area with around 300 children per week taking part plus a Tuesday night church youth club with football and bible teaching for 33 youngsters who regularly attend. In South Africa at a ‘youth offenders’ prison in which AIS have created a football, education and faith academy for a number of the inmates. Recently at a first ever family day where families of the AIS Academy inmates were able to visit the dormitory cells where the boys lived. That day a mother and son were reunited together after years of disappointment and separation. One boy said “this is the first time my family has ever watched me play sport”. One warden cried and others were deeply moved as they saw how the boys had changed and being reconciled with their families. Some boys spoke about how God had changed them, how they were once into gangsterism but God showed them a better way through revealing HIS love for them personally. However not one dad turned up which brought sadness – one boy stood and said how the boys wanted to break the cycle and be proper father figures for the next generation. The Ubabalo Project is all about preparing 3000 Christian coaches and footballers to use the 2010 World Cup as a platform for outreach and evangelism – the outgrowth of a multidenominational church network wanting to realise the huge potential the World Cup has for the Gospel. The Aim is to train and support coaches and footballers to run football ministry events through the local church and in local communities, not just during the 2010 world Cup, but for many years beyond. 1000 churches from different denominations to sponsor three delegates each to be trained and for these churches to support them in providing outreach and ministry into the local community these coaches will be trained in the area of Aids and HIV awareness and how to share God’s love through sports ministry as well as train the top South African delegates to be Coach Educators on a Level 3 course for the future. So far in 2007. AIS ran the first Level 1 course in Cape Town with 60 delegates and in 2008, AIS ran four Level 1 courses (Cape Town, Pretoria, Soweto and Polokwane) where for 134 coaches and a Level 2 course( in Cape Town) for 15 coaches who completed the 2007 level 1 course. Is a small booklet from New Life Publishing that includes testimonies from Keiran Richardson, Christian Benteke, Linvoy Primus, Kaka, Joel Ward, Daniel Sturridge and lots more. Since our chaplain got involved with Manchester United in September 1992, I have become more and more aware of UK Sports Chaplaincy and its work. I am glad to see its influence extending across the UK and to a wider range of sports- especially to Scottish Football and to Horse Racing! Chaplains can be of help to all sorts of people involved with sport, when crisis, need, or difficulty comes. I commend the idea of sports chaplaincy and the work to you. Sir Alex Ferguson, CBE, Manager, Manchester United. Chaplaincy gives a whole other dimension to our club. It brings a personal touch – people feel like they can be listened to as individuals. If chaplaincy was established in every club, I think it would be of huge benefit to the game as a whole. Increasingly those involved in sport recognise the need for pastoral and spiritual care. Chaplains address that need – and at the same time build links between local church and community. Chaplains bring a practical demonstration of God’s love into the clubs. This kingdom work deserves support from across the whole church.